Kick Off The Summer With The World's Tastiest Part... 10 Votes Up! Cheers to National Vodka Day with Svedka and Ameri... 5 Votes Up! National Vodka Day with Cocktails from Los Angeles... 8 Votes Up! Beach Whiskey's Endless Summer Cocktails 4 Votes Up! 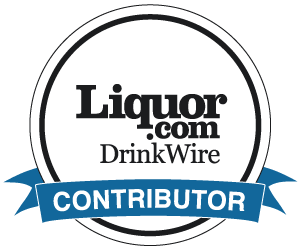 World Sake Day with TYKU Premium Sake 3 Votes Up! HENDRICKS GIN UNVEILS THE GRAND GARNISHER 4 Votes Up! Tequila Cocktails for National Tequila Day 3 Votes Up! DARKNESS ILLUMINATED: The Official Launch Of Zacap... 9 Votes Up! RUM TO THE SUN WITH RON ZACAPA SISTEMA SOLERA 23 R... 43 Votes Up! Four Halloween Themed Cocktails from Las Vegas bar... 7 Votes Up! Celebrate Cinco de Mayo with These Las Vegas Hotsp... 9 Votes Up! Coachella Recap: #WHHSH BEER at the Music Lounge 9 Votes Up! Celebrity Hotspot: SALT Restaurant at The Marina D... 7 Votes Up! Opening Soon: The Still at The Mirage Hotel 12 Votes Up! Valentine's Day Cocktails From CliQue Bar and Loun... 5 Votes Up! Healthy Cocktails For Valentine's Day From Health... 2 Votes Up! Maia Los Angeles Hot Spot For Food and Cocktails 3 Votes Up! These Holiday Drinks are Hot from The Tilted Kilt 6 Votes Up! Gran Cosecha Ultra-Premium Tequila Launches Their... 6 Votes Up! John Varvatos Stuart House Benefit - STILLHOUSE Mo... 6 Votes Up! STILLHOUSE Moonshine's Endless Summer Punch For Na... 2 Votes Up! LVP Sangria brings you a refreshing August Cocktai... 1 Vote Up! Bastille Day Cocktails at Riviera 31 2 Votes Up!